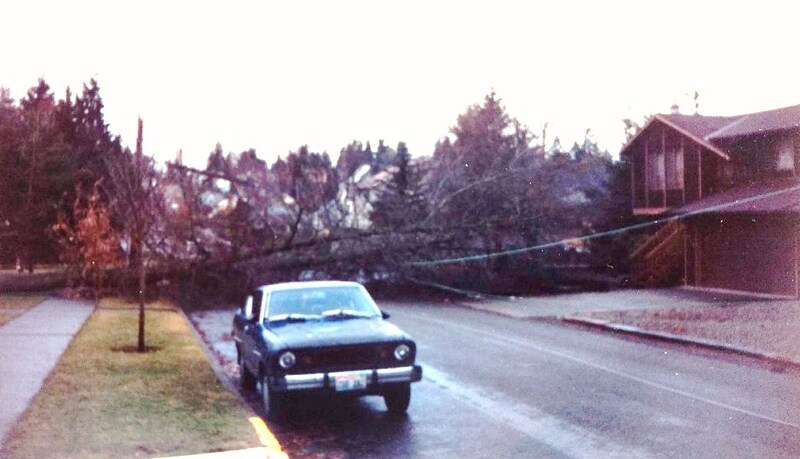 Looking west along NE 77th Street, where a tree fell at the corner of 37th Ave NE. It just brushed the house across the street without any damage. Photo by Valarie.